UPDATED: Thu., July 19, 2018, 5:16 p.m.
BOISE – Three wolves have been killed by federal authorities in central Idaho near Stanley, an action blasted by an environmental group. The U.S. Department of Agriculture’s Wildlife Services on Wednesday said it killed the wolves over several days earlier this month at the request of the Idaho Department of Fish and Game after confirming wolves killed six sheep. The three wolves killed are in addition to the 46 wolves Wildlife Services said it has killed in Idaho this year through June 30, following 61 confirmed wolf kills of livestock. Those livestock kills included nine adult cows, 29 calves and 23 sheep, the federal agency said. Western Watersheds Project decried the killing of the three wolves this month in the Sawtooth National Forest’s Recreation Area, which it argues only allows livestock grazing if it doesn’t “substantially impair” wildlife conservation. “Wildlife Services, Idaho Fish and Game, and the Forest Service have time-and-time again shown that they care more about perpetuating economically marginal grazing operations than protecting native wildlife,” Scott Lake, Idaho director of Western Watersheds Project, said in a statement. Idaho Fish and Game manages wildlife in the state. Tom Curet, Idaho Fish and Game supervisor for the Salmon Region where the wolves were killed, said the agency asked Wildlife Services to take action after the federal agency confirmed wolves killed the sheep. He said the wolves were killed about 1.5 miles east of U.S. Highway 75, the main route through the Sawtooth Valley, and about 20 miles south of Stanley. He said it’s believed the pack had five wolves before three of them were killed. He said it’s the first conflict with wolves and livestock in the basin this year. Wolves, he said, typically follow deer and elk to the high elevation valley that offers lush grass for grazing animals. That also makes it attractive for livestock producers. “It’s great summer range,” Curet said. The U.S. Forest Service manages land and issues sheep grazing permits. The agency in an email on Thursday said a 2008 analysis determined that sheep grazing would not substantially impair wildlife conservation in the Sawtooth National Recreation Area, making sheep grazing an allowable use of the area. Besides killing wolves to protect livestock, Wildlife Services has also killed wolves with the aim of increasing big game populations. The agency earlier this year killed 10 wolves in northern Idaho at the request of Idaho Fish and Game to boost elk numbers. 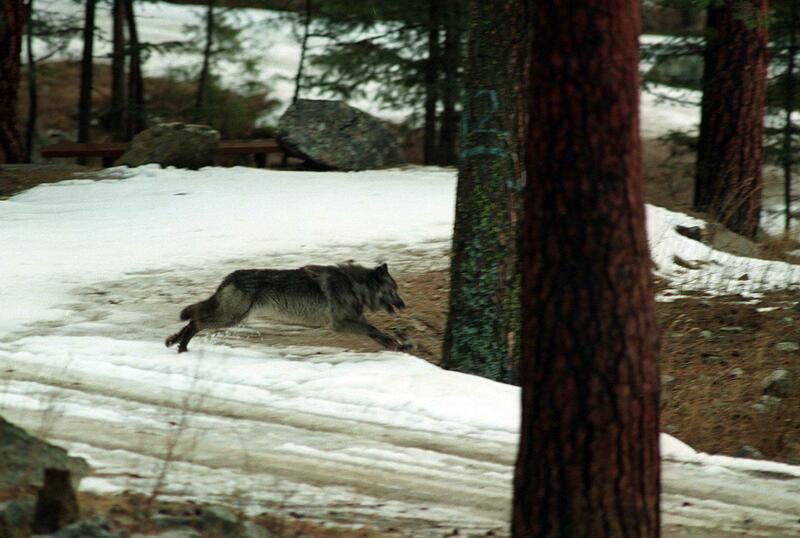 Wildlife Services said workers used a helicopter in the Clearwater National Forest in late February and early March to kill the wolves. But Fish and Game officials say they continue to monitor wolf populations using DNA samples from wolf droppings, remote cameras and other information. Earlier this year, the state agency estimated Idaho has 90 packs. The agency said it doesn’t count individual wolves or provide an overall wolf count number but notes that a typical Idaho wolf pack has six to nine wolves. Published: July 19, 2018, 1:32 p.m. Updated: July 19, 2018, 5:16 p.m.